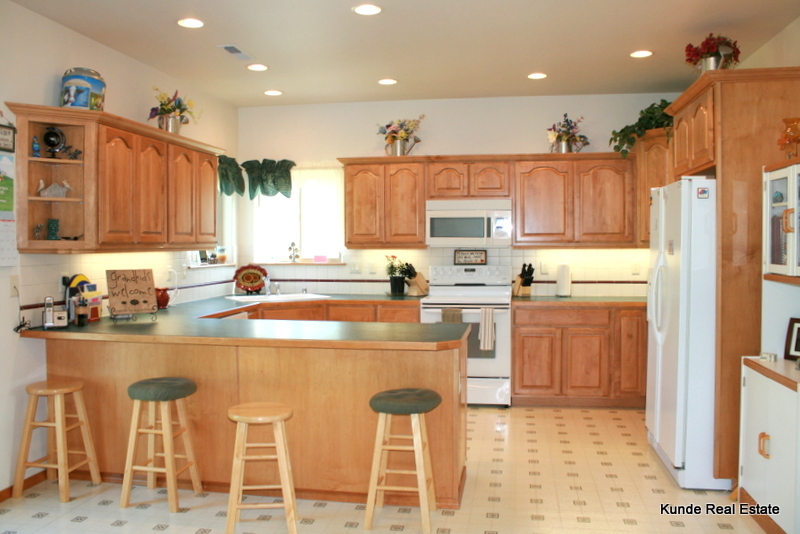 This newly listed home in Kennewick is bright and beautifully maintained inside and out! It has a main level master with bay window, large walk-in closet, tub, tile shower, double sinks, and a large linen closet. Huge kitchen with high quality maple cabinetry, open to 2-story vaulted great room–perfect for entertaining or family gatherings. You’ll love the bonus room at the front of the home–it could be an office, living rm, formal dining rm, or den. Laundry/mudroom to garage is also located on main level. Upstairs you’ll find 3 additional spacious bedrooms. Don’t miss thoughtful details such as exterior Christmas light switch, built-in cabinetry for DVD player, and built-in shelving in closets. Beautifully maintained yard with curbing and storage shed, and a freshly painted exterior. Energy efficient with upgraded R-value insulation in walls. Tucked away on a cul-de-sac lot in a quiet neighborhood, you’ll love this immaculately maintained home! Freshly painted, upgraded insulation, one owner! Give us a call if you’d like to take a look!